Choose your fabric by going to @chezviesfabs and copy paste the link of the Instagram Photos into the text box. Or you can always email me. I really love this curvy edges passport wallet. It gives a feminine look! The foxes are of course too cute too pass. The wallet is interfaced for durability. And it closes with snap buttons. 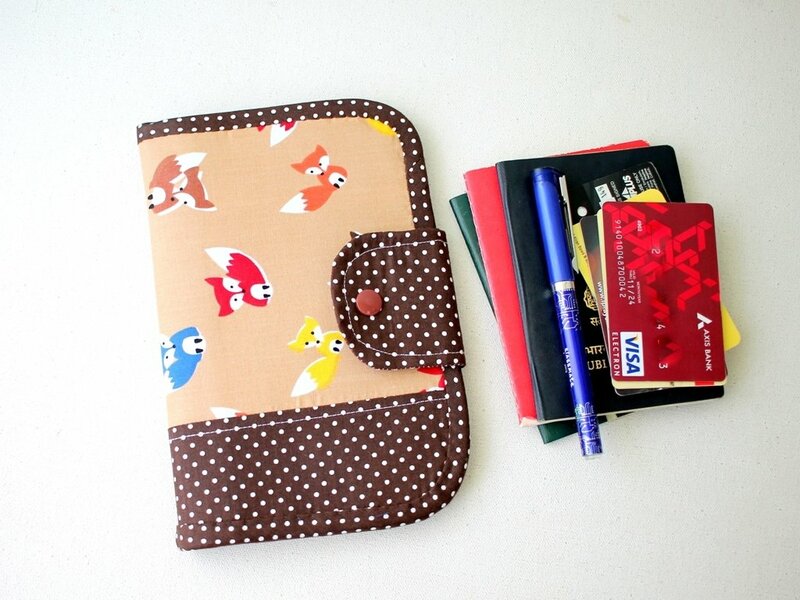 I can make this wallet in other prints. I have a collection of linen as well as cotton fabrics with popular designer as well as quirky, themed print fabrics that I picked up during my travel. If you're in instagram, you can check out the fabric collection at @chezviesfabs.